Sian put it best in her review of the Victoire Remember Moi long gown a few days ago—there are a few pieces, just a few, that make us squeal. 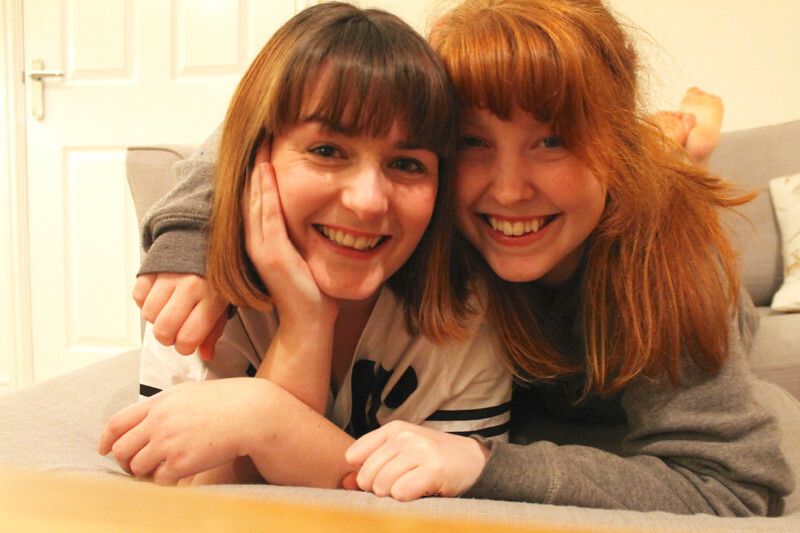 Combine the words ‘silk’ and ‘gown’ and you get two very excitable lingerie bloggers. What was really exciting for us when NK iMode got in touch for a review was to see their varying levels of bust support in their chemises. I had more often seen one or the other side of the spectrum when it came to cup sizes in chemises / nightgowns—either, there is no sizing / support, or there are fully structured and sized cups, such as you would get in a bra. As we all know, I’m fan of comfort, and can more often be found lounging in a yoga bra than stitched tight into a corset (not that there isn’t a time and place for corsets, they’re just not that frequent in my house). For me, the appeal of garments like the chemise or the slip is the ease of elegance and comfort. This is the sort of thing I’d like to wear all day underneath a dress; or, more important, all night as a nightgown. And who wants to wear a bra all night?! Ok, some people might, but I certainly don’t. By sizing in more vague terms—natural, moderate, and maximum—it gives enough support and coverage to wear throughout the day (with the option of being able to slip a bra on underneath as well), whilst being inoffensive enough to wear all night. NK iMode got in touch to offer us a selection of items in our required bust capacities: for Sian, maximum; for me, moderate. I chose the beautiful Morgan Cradle Bust Chemise in Champagne which, for me, basically does everything I’ve ever wanted in a luxurious silk slip. Although I was initially fairly jealous of Sian’s epic, 1940s style gown, I’m so happy that the Morgan Chemise is proving so wearable. It’s exactly the right length to wear as a slip under short dresses, and not too revealing to wear as a nightgown at night. I’m fairly short—just over 5ft—so this may be slightly shorter on taller women, but on me it falls pretty perfectly mid-thigh: which is exactly where I’m most comfortable with it sitting! The most gorgeous part of this design has to be the peeking stretch lace on the bodice. It’s so beautifully done, giving just the right silhouette to the rest of the garment, and to your body. The whole design in combination is just desperate to flatter the body, and does it so well with such elegance. The bias cut skirt gives enough ‘swish’ over my lower half which, being larger, can be clung to in an unflattering way by some styles. The black lace outline is just enough to emphasise above, with a perfectly proportioned panel to flatter your waist. It also has adjustable straps. A final word to the back of the chemise, which stretches the black lace across the top of the body, and falls into the silk in an upside down ‘V’ exactly when the waist starts. It’s such a (I’ll use the word again, you may be getting tired of it) flattering design; having stretch lace at the back of the garment also gives greater ease of wear and comfort, more so, I think, than having silk all the way around. Just beautiful, simple design! A quick note to add, since silk can be a bit of minefield when it comes to ethical sourcing, that NK iMode’s website promise that they advocate a fair and sustainable production process. The Morgan Cradle Bust Chemise is available in sizes XS—XL from NK iMode for $190 CAD (around 113 GBP). Apart from my usual adiration for your ability to take great pictures of yourself – this robe is to die for.